Guinea pigs require extensive basic equipment because they need more than just a cage. They love to hide, to run, to explore and of course to gnaw. So that you can make this possible for your animals, an extensive guinea pig basic equipment is necessary directly at the beginning. 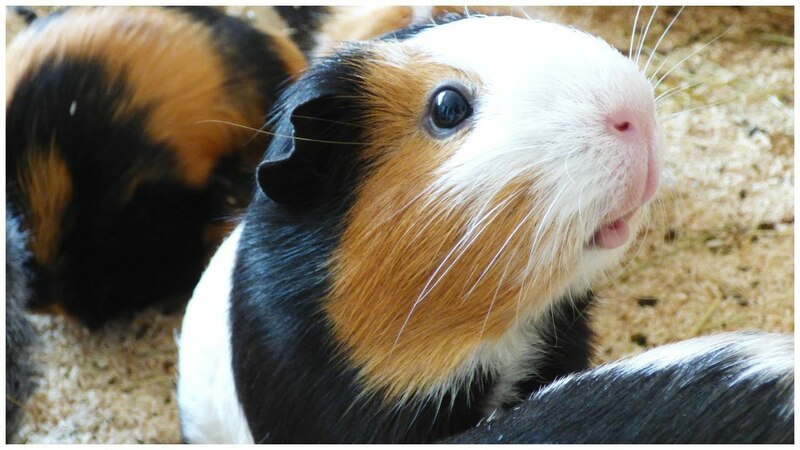 Guinea pigs are sociable and playful animals. To ensure that the many positive characteristics of small rodents can develop even when kept in cages, it is important to keep them as species-appropriate as possible. This primarily includes not keeping these sociable animals alone. Therefore, at least two animals of this species should always be allowed to live together. If you want to create a species-appropriate habitat for your guinea pigs, it can help to learn a little about their life in the wild. The “wild relatives” of domestic guinea pigs live in crevices and earth structures in South America. There they have many hiding places and can hide in many places in case of danger. They live close to the ground and become active when dusk sets in, making them less visible in daylight. The direct sunlight and excessive heat stress are not good for the animals because they have no sweat glands through which they could regulate their body temperature. As sociable animals, they live together in groups of mostly five to ten members. 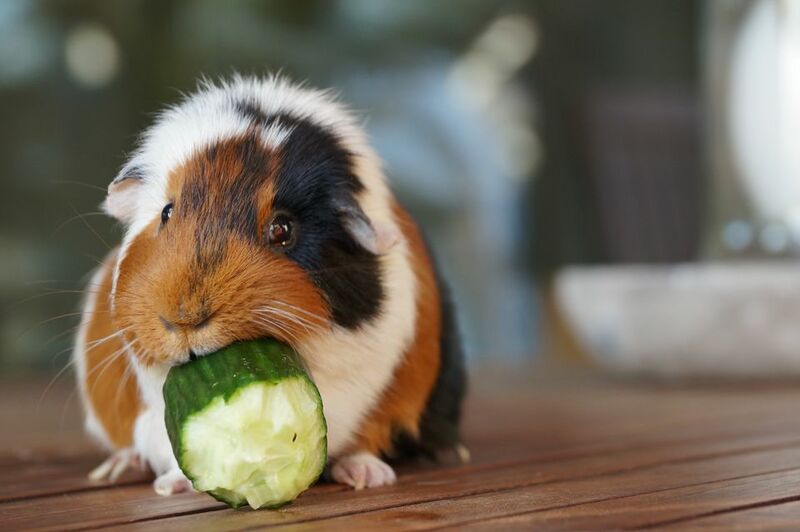 Of course, you can’t offer your domestic guinea pig the natural habitat, but with the right equipment, you can make sure that they can live a healthy and happy life with you. A guinea pig cage can be so chic and at the same time, species-appropriate: The Living World Green Eco Habitat even has the BNA seal! A cage is a good way to offer your pet a protected area in the living room. In the case of two guinea pigs, the cage should be at least 120 centimeters wide, 60 centimeters deep and 50 centimeters high. Because only with sufficient size the rodents can meet their urge to move. The more animals the cage size has to be adjusted. It can be calculated that a cage that is at least 20 percent larger should be planned for each additional animal. The size of the cage is not only important for the spout, but all the accessories must find a place. Animals cannot move well in overcrowded cages. Grid cages are particularly popular. They usually consist of a plastic trough and a removable upper part of the grille. Through one or more doors the animals can get out of the cage independently for the run. If the door is too high, a small ramp is also required so that the animals can safely leave the cage. As an alternative, cages with glass or plexiglass walls are available. The advantage of these cages is that you can watch the animals not through a grid, but unhindered through the transparent window. Closed terrariums or cages with plastic discs, however, are unsuitable because the air cannot circulate well in these variants. It is advisable to choose an elevation as the location for the cage. A place on the floor, on the windowsill or near the heating system is out of the question. The animals are sensitive to light and even draughts or excessive heat exposure from a heater can harm them. The cage can be placed on a table or a half-height cupboard, for example. In the sleeping area, for example in the children’s room or bedroom, a guinea pig cage is also not in good hands. 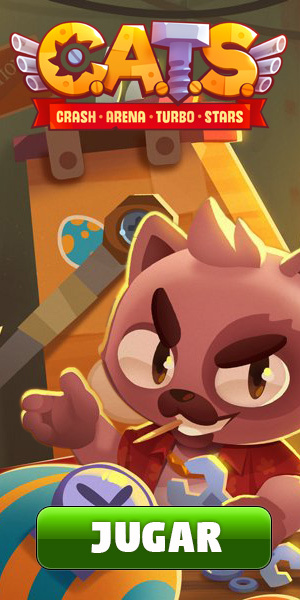 The animals are nocturnal and can generate a lot of noise. Grid cages, which are suitable for two guinea pigs, are already available for about 50 Euros. Although cheaper grid cages are offered especially for guinea pigs, these are often not designed for two animals and are therefore smaller. Cages made of glass or plexiglass are often a little more expensive. They are often available at a price of around 150 euros.